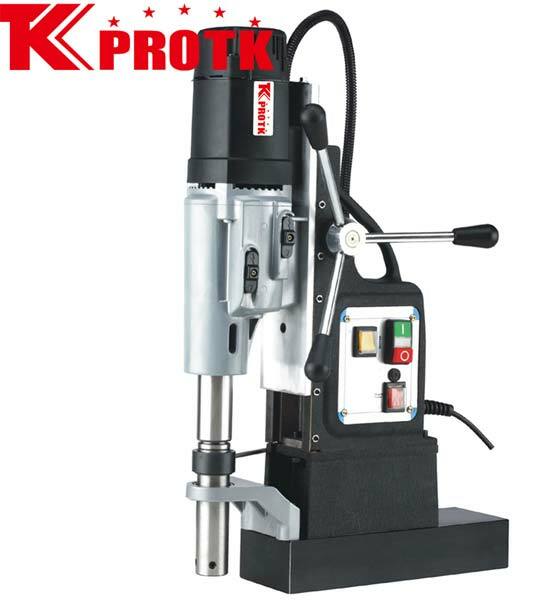 We are a trustworthy manufacturer, exporter and supplier of Magnetic Drill (TK-TYP-100) from Yongkang, China. We offer these Magnetic Drills Cutter with a capacity of 12-120mm and cutter depth of 75mm. The Magnetic Drill comprises of an M42 screw and MT4 Spindle Holder. With a stroke of 210mm and no load speed of 82/180/245/535 RPM, this Magnetic Drill offers high efficiency. The net weight of this Drill is 30Kg and the gross weight is 51 Kg. We offer these Magnetic Drills in Package size of 53*19*73cm each.